I understand that some people think Superman is creepy and he makes them a little uncomfortable – he does wear his underwear on the outside of his pants after all. But I want to address this idea of Superman as the Nietzchean ubermensch, when in fact, the character hasn’t ever really represented that ideal. The identification of Superman with Nietzsche’s ubermensch started in the 50s with the famous book Seduction of the Innocent by Frederic Wertham. Wertham in fact disregarded the notion of ubermensch as “Superman” specifically because the character was not the epitome of the ideal. There are a few important differences in both origin and application of the Superman character. 2) Superman is not human. He comes from another planet, and it is due to this non-human status that he has great power, not due to his own efforts or his own virtue. Though more than 70 years old, and handled by hundreds of creators in that time, these two qualities have been consistent. In Thus Spoke Zarathustra, Nietzsche specifically created the concept of the ubermensch as a way to constrast with an supersede metaphysics in general and Christianity in specific. The ubermensch is a self-created being, using his own strength of will or body to transcend the limits of society and religion. The concept of Will to Power was never fleshed out by Nietzsche, and his modern students can come to no consensus on what he meant by the term, although personally, I agree with you that he meant it as the act of imposing one’s will on another. Unfortunately, without a unifying treatment of the character over the years, I don’t see the “will to power” concept as applying to Superman (or any other superhero) as a defining factor, although it has certainly been used as such in individual stories. There is a literary device called transposition, where one character seems to uphold a certain value while projecting its opposite on another. In his post-millenial series “Luthor”, Brian Azzarello makes exactly your argument against Superman – that we are dependent solely upon his good will for our safety. This argument is placed in the mouths of self-made men Lex Luthor and Bruce Wayne (Batman), and serves to highlight the virtue of Superman as an external savior whose presence reveals the failings of the best of men (Luthor and Wayne). Surely, we are far better off looking to Superman as a point of identification when drawing men’s attention to the need for an external savior? Superman is the best of all things, he is everything to which we aspire, and he comes literally from the heavens. This is a fundamental literary device designed to draw one’s attention to the need for an external savior, and I think that serves as an excellent introduction to the one, true savior of humanity. By the way, if it helps at all, in DC Comic’s “New 52” reboot, Superman will no longer be wearing the red shorts over his pants. It’s hard to talk about Spirit Blade without sounding like either a raving fanboy or a nitpicky hater. I purchased the first edition of this story to listen to it in the car on family vacation. I was immediately hooked. The audio design was wholly immersive, the music was resonant and complex, the lyrics were clearly extremely personal. I wound up buying copies for all of my friends and family (Christmas was conveniently near). Not satisfied with his original product, Paeter Frandsen (the creator at Spirit Blade Productions) remastered and released the Special Edition two years later, putting to good use the experience he gained in producing the sequel – Spirit Blade: Dark Ritual – and Pilgrim’s Progress: Similitude of a Dream. The Special Edition makes everything that was good about the original into something truly remarkable, without actually fixing any of the flaws in the production. Even so, this is both the creator’s and this listener’s preferred production of this story. I’m in the Reaction Chamber with author Nathan James Norman, author of the sci-fi/fantasy novel “Untold” and contributor to “The Least of These”. Norman speaks with me about his novel, the associated full-cast audio drama through Paeter Frandsen’s Spirit Blade Underground Alliance, and a bit about who he is and where he comes from. We get into the power of story to educate and change lives. We approach literature, fantasy, and sci-fi from a Christian perspective, and touch on themes of salvation and orthodoxy, the promise of trouble in this world, and the nature of God. 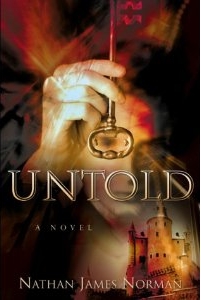 Plus a glimpse at the internal mythology of the Untold universe. “Zero Hour” is the new book from ResAliens collection the spiritual suspense stories of Stoney M. Setzer. Setzer’s stories have appeared previously in Residential Aliens and Christian Sci-Fi Journal among other venues. Edited by Lyndon Perry, this collection brings together twelve previously published stories along with three never before printed. The cover copy claims similarity to The Twilight Zone, and certainly there is something of that flavor herein. Stories like “In the Shadow of the Sphinx”, and “All Hail Sam” feel like they should begin with Rod Serling voiceover delivering the moral lesson of the story. Other tales hearken back to radio programs like Escape and X Minus One, with the subtle deviations from reality that tell the reader something is just barely off about the world they are experiencing; “Doomsday Falls on a Tuesday This Year” and “Square Peg” need only a scratchy background of static noise to complete the illusion. Still other offerings evoke the classic short stories of Larry Niven or Isaac Asimov with their emphasis on the ordinary character reactions to the most extraordinary situations, including “The Alabama Hammer” and “We Serve All Kinds Here”. Finally, Setzer delivers his more direct spiritual lessons in the form of pure morality plays in “Darkest Before Dawn” and “Enamored”. Residential Aliens Press can be found online, and their books are available through a variety of venues. 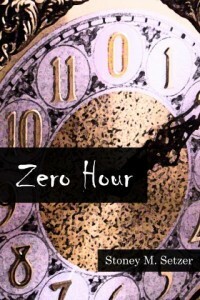 Zero Hour is available directly from the ResAliens Createspace store. Direct from the Roney Zone and into the Reaction Chamber, Jeff Roney stops by to share some insights into his version of a classic biblical love story. The story of Hosea and Gomer is not well known, but Roney and his cast of voice actors breathe dramatic life into this touching tale. 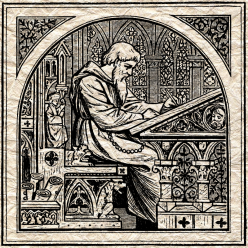 November contest: create a bard. Big things in the wind for the show and the web site. Not just here, either. 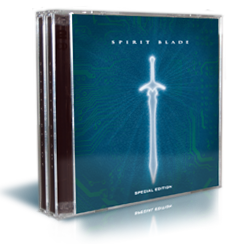 Get a great deal on Spirit Blade while you can over at The Spirit Blade Underground. In celebration of the season and the coming changes, I’m giving away comic book grab bags to all those who write and ask. Just email your name and address for a Christmas gift from me to you. I said on the show it was going to the end of the year, but I’ve got a set number of these marked out, so the offer is good while supplies last. Gifting practices are the topic today, along with randomness from my wife, Petra. So grab a cup of cocoa and have fun with us!